We are glad to announce that Fit4bond is awarded by CIO review India. We all well known that CIO review India is one of the leading magazines to know about the latest technology and its trends in all the verticals. It is a great honor that fit4bond is awarded as one of the promising online tailoring store software. Fit4bond is considered to be one of the innovative product by Osiz technologies Pvt Ltd. It is one of the leading software development company in India to satisfy the business needs of SMEs, MSMEs and large scale businesses. Osiz technologies pvt ltd have crossed around 10+ years successfully under serving various software business requirements around the globe. Our young and enthusiastic Founder & CEO of Osiz technologies Mr. Thangapandi.D who have wide knowledge in software industry. His hard work, dedication and determination has made the company stepped into the next level of success with world class IT infrastructure. what is so special in Fit4bond? We can say Fit4bond is one of the best online custom tailoring software loved by tailoring & clothing industry. Fit4bond has many distinct features to stand out uniquely from business competitors. Enhance your physical tailoring/clothing business store to online easily. Online measuring tool to measure your customer's body measurements accurately. It allows your valuable customers to customize their apparel according to their needs (Fabric color, Collar, Cuff, sleeve, button color and type etc.,). Get the updated version of Woocommerce plug-in. Easy payment gateway integration API for instant order placement. 360 degree showcase of the apparel product to avoid shopping cart abandonment. Use the future AR & VR technology to make your online tailoring/clothing business store more powerful. Mix and Match technology with virtual fitting room to try out your designed apparels. Complete e-commerce tailoring/clothing business solution for custom & bespoke tailors. 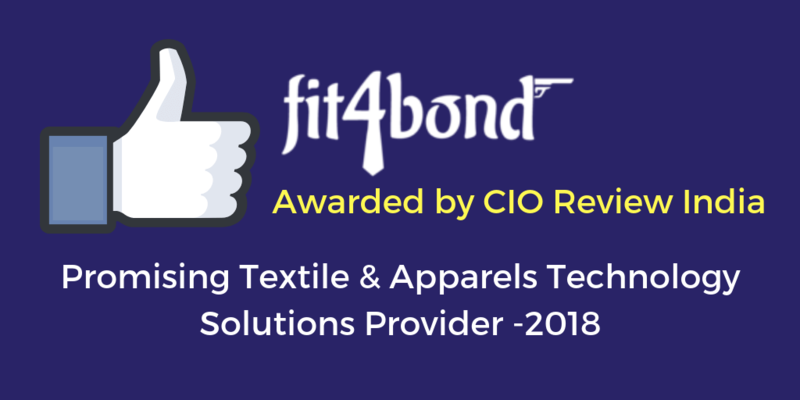 Fit4bond offers complete custom tailoring business solutions for clothing & tailoring industry with unique selling point. Fit4bond can surely transform your average e-commerce tailoring business store into an elite one. It is one of the apt online tailoring business software for store owners who aspire to make their online e-commerce store a unique one. Attract the fashion lovers by fit4bond - complete custom tailoring business solutions. Taking a free business demo! online custom tailoring software, online custom tailoring business solutions,fit4bond, custom clothing store software, Bespoke tailoring software, 3D custom clothing store software, online ecommerce tailoring store software.